Dental cone beam computed tomography (CT) is a particular type of x-ray machine used in situations where regular dental or facial x-rays are not sufficient. This type of CT scanner uses a specific technology to generate three-dimensional images of dental structures, soft tissues, nerve paths, and bone of the craniofacial region in a single scan. 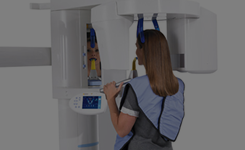 Images obtained with cone beam CT allow for more precise treatment planning and placement of dental implants. 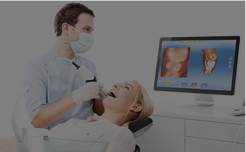 CT scanning allows for the greatest success in implant dentistry. There are times that patients come in with tooth or jaw pain, and routine digital X-rays do not allow us to see where the problem lies. A 3Dimensional radiograph can be adjusted to focus on the problem area and can see the hidden problem. 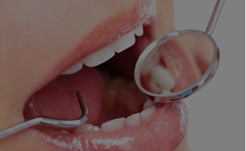 Fractured teeth, hidden infections within the bone are easily seen and accurately diagnosed. 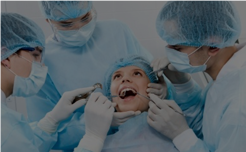 The results can be viewed immediately and can save multiple visits to a dental specialist.